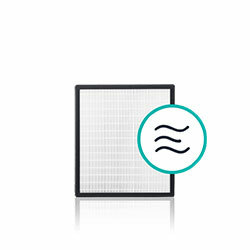 Our newest + best air purifiers are here. Bundle & Save With Filter Multi-Packs. 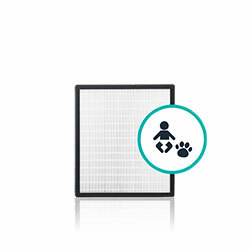 The Alen BreatheSmart FIT50 is the compact air purifier customized for the unique needs of families like yours, including soothing pink noise generation, interchangeable HEPA filters, automatic smart sensors, personalizable designer panels and the best and only lifetime warranty in the industry. Includes 2 HEPA OdorCell filters for 16 months of protection. Order by 2pm CST. Ships same business day. Your family is growing, whether you have your first newborn or teenagers you're shuttling from school to practice, and your challenge is to provide them with the best possible rest so that they can grow and take on the adventures of each new day. The Alen BreatheSmart FIT50 gives you powerful protection against airborne allergens and unwanted odors, ranging from diaper odors to the lingering smell of sports equipment. It's the only compact air purifier in its class customized for the needs of you and your growing family, including interchangeable HEPA filters, automatic smart sensors, quiet operation, personalizable designer panels and the best and only Forever Guarantee in the industry. Plus, get a better night's sleep the Alen BreatheSmart FIT50 generates soothing "pink noise," which helps cover disrupting sounds that can disturb your family's much needed rest time, so everyone can wake up refreshed and ready to explore the world all over again! Alen's customized air purifying solution destroys heavy odors at a molecular level to keep your home smelling fresh, eliminating odor as well as as other airborne allergens like mold spores and dust so you and your children can breathe better, anywhere. The Alen BreatheSmart FIT50 is a thoughtfully designed and highly effective air purifying solution, perfect for bedrooms and nurseries, or wherever your growing family spends their rest time. Compact and portable, it is easy to move wherever you need it. The Alen BreatheSmart FIT50 is powerful enough to cover up to 900 square feet, so you can depend on it to clean even more of your indoor air environment, no matter where you choose to use it. And its designer panels come in a range of colors and textures, so you can complement your home's look now and into the future. The Alen BreatheSmart FIT50 comes with automatic mode, which intelligently adjusts its cleaning power to achieve the best air quality while maximizing filter life-saving energy and money. 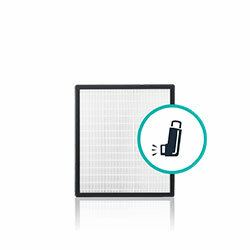 And even when the air purifier is working hard, the Alen BreatheSmart FIT50 keeps it quiet with precise tuning and aerodynamics that keep the volume down. Take control of your indoor air environment and live your best with your growing family with a Nurture Smart Bundle. 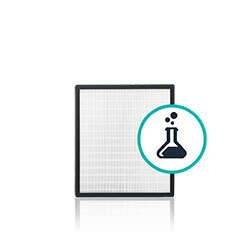 Size 16.75" x 22.25" x 10"
We come to work every day for one reason - to make high quality air purifiers and filters so you can breathe better, feel better and live better. That’s why we created the air purifier industry's first and only Forever Guarantee. We’re in this for life - your life. If you've used your Alen air purifier for personal purposes in the United States and it quits operating under normal conditions, we guarantee to provide you the same or comparable refurbished purifier with free shipping. Click here to learn more about our Forever Guarantee. However, the warranty is only valid in the US and Mexico. Taking this unit to any other country and connecting it to a voltage converter or plug adapter will void the warranty. Please contact us if you have any questions or if you are looking for a product to use outside of the US or Mexico. Alen BreatheSmart FIT50 Nurture Smart Bundle has a rating of 4.9 stars based on 25 reviews. Be the first to know about our sales, new releases and more!